Gospel Singers of today have made a major impact on the music industry. 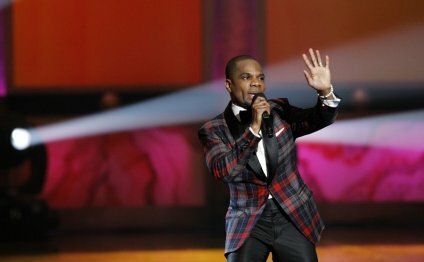 Kirk Franklin has been in the music industry for more than 20 years, and has achieved many awards which includes the Grammy Awards, American Music Awards, NAACP Awards, BET Awards and also the Soul Train Awards. As he put an imprint on the Gospel Music Charts and also the R&B Charts, a host and co-executive producer of the famous TV Show “Sunday Best”, and an author. Kirk Franklin has put an imprint on Gospel Music and has many songs that are very inspirational. Here are examples of 10 out out many of his best songs. "I Smile" was released in 2011 and was an inspirational song with a joyous rhythm and blues melody. The catchy chorus uplifts feelings and gives a sense of happiness despite the troubles of the world. "Don't Cry" is a beautiful, glorifying song that reminds listeners of the resurrection of Jehovah. The slow intense song sparks one's ears of harmonious singing, that allows you to reflect of the actual resurrection. This song was released from the album The Rebirth of Kirk Franklin. "Imagine Me" is an edifying song that allows one to sing along freely and proud for one that struggled with depression, low self esteem and more. The song allows one to look at those struggles that were in the past and to glorify the outcome in the present, that they was able to overcome those obstacles. This song has a rhythm and blues flavor with a twist of harmonious gospel, that will definitely uplift your spirits. "My Life Is In Your Hands" is a song from a collaboration with the vocal ensemble God's Property, aptly named God's Property from Kirk Franklin's Nu Nation. This beautifying song allows listeners to never give up no matter what you are going through. The song reveals that with Jesus by your side, you can go through anything, no matter what may come one's way.